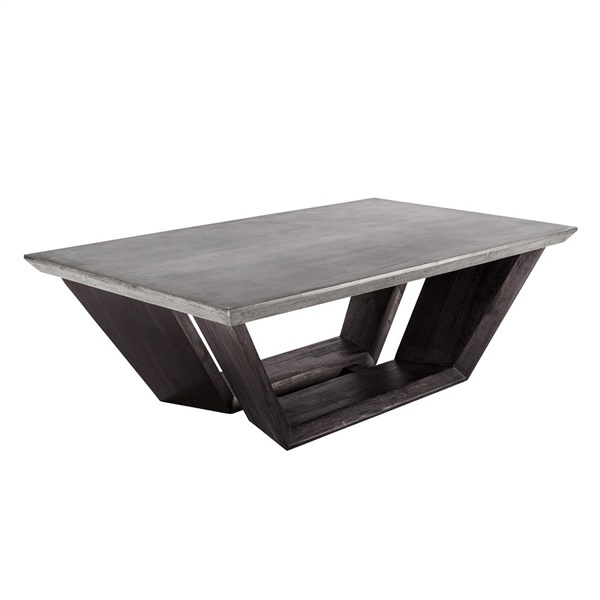 The combination of rustic and modern architectural elements sets the Langley Coffee Table apart from the rest. This table features a solid concrete top that utilizes tapered edges to create a completely unique look. Below the dramatic top is a tapered solid acacia wood base that adds a natural element to the otherwise industrial look of this table. The Langley Coffee Table is a breakthrough in modern design and is sure to complement any space.